Following an untypically dry winter the template for 2017 was pretty much determined by an early flowering. The growing season was characterised by unpredictable weather – largely dry, but not particularly hot either. By early September the fruit was surprisingly ripe and healthy, and much better quality than we had anticipated following a somewhat ‘mediocre’ summer. These average conditions also somehow managed to yield the second largest harvest on record. Despite this very generous quantity, the most astonishing aspect of 2017 is the quality. Not only was the fruit abundant and healthy, but it was also terrifically well balanced. Ripe and generous with a good acidity and an average alcohol of around 12.5%. The winter of the 2016 vintage (as with 2015), was quite unpredictable – dry in November and December, wet in January, and then quite unsettled throughout the spring until flowering time. Once flowering was complete, the weather changed completely, and it remained hot and dry for the entire summer, virtually until the beginning of harvest in early September (when we experienced one solitary day of rain). Owing to the prolonged summer heat, yields were slightly down, as was the acidity – the resulting wines are ripe, with a touch more alcohol, but are still very fresh with an excellent balance. The winter of 2015 was largely changeable – a few warm spells, some clear frosty days, and our usual quota of grey, wet Galician weather. By mid-May the weather improved significantly, and led us into a warm, dry summer with precious little rainfall and prolonged periods of sun. September started dry, but shortly before our harvest a large storm was predicted, and so we decided to pick a few days earlier than we would have liked. The resulting wines are lower in alcohol (around 12%), floral, fruity and with all the typical fresh acidity of our region. After a very stormy winter, with long periods of high wind and torrential rain, the summer of 2014 will be remembered as cool and changeable. Any period of sunshine was short-lived and the thermometer remained stubbornly lower than normal. August showed a slight improvement that lasted until the first week of September when the rain returned. 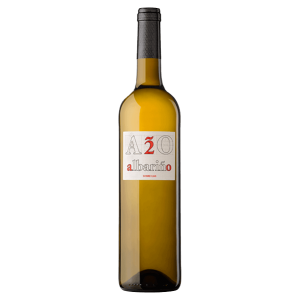 Fruit was picked during a dry spell in the third week of the month, and surprisingly healthy fruit produced a nicely balanced wine, with many of the typical characteristics of a Salnés albariño – fresh and fruity with a clean, zesty acidity. The cool, damp winter of 2013 was quite protracted resulting in a late flowering. Fine, hot weather finally arrived at the end of June, and continued for most of the summer, with August and the beginning of September being particularly dry. With only one week left to run before harvest came a period of torrential rain, adding a little water to some potentially very good fruit. Despite using very short and gentle pressing cycles in order to compensate, the resulting 2013 wine is extremely fruity, but perhaps lacks just a touch of our usual concentration. The early part of the year was unusually warm and dry. After Easter a period of unsettled weather arrived which set the pattern for the whole summer. A possibly mediocre vintage was saved by the warm and dry month of September. Following the huge vintage of 2011, the vines, perhaps exhausted, produced the smallest harvest for nearly 10 years. However, in the world of wine small often means very high quality, and for 2012 we believe this to be the case. A very warm spring resulted in an early flowering, during the first half of May. Summer was largely dry, cool and overcast, and owing to the warm Spring the 2011 harvest was one of the earliest ever recorded. Volumes were huge, and the cool summer resulted in wines of low alcohol, and slightly higher acidity. In truth not a great vintage, and one where winemaking practices will ultimately determine final quality. A very wet spring right up to the time of flowering, followed by virtually no rain for the months of July, August and September. The result, despite ‘green harvesting’, was the biggest vintage on record, producing a very good wine, nicely balanced, but owing to the volume, perhaps not quite the same concentration as our 2009. Another unsettled spring and summer rescued by hot weather during August and indeed, right up until harvest time. The resulting wine displays an excellent balance between fruit and acidity – perhaps even a perfect balance. It could be that 2009 will provide our bodega with some of its best ever wines! A cool damp spring and late, slightly uneven flowering made 2008 a difficult vintage. The unsettled weather continued throughout the summer, with only July offering a period of sustained warmth. 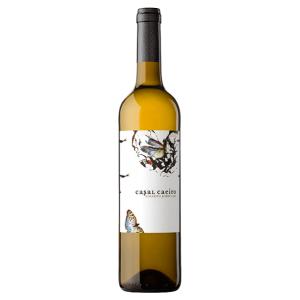 The skills of the winemaker certainly come to the fore, resulting in a good wine, with a fresh, zesty acidity that typifies the albariño grape. After a wet summer the vintage was saved by a hot September. Volumes were nearly 40% down on 2006 producing very unctuous grape musts, and consequently rich, concentrated wines. The poor quantity is almost inevitably compensated by high quality. Following a summer of raging forest fires, the 2006 vintage turned out to be the largest on record. Naturally, with such high yields, the wines are perhaps not quite as concentrated as in other years, but nonetheless they enjoy a good balance, with attractive ripe fruit flavours. After an almost textbook growing season we experienced yet another plentiful harvest. If last year’s wine was ripe and slightly atypical, then 2005 is altogether a better-balanced vintage. natural acidity levels from the vineyard required little adjustment in the cellar. Producers were worried by a very wet August, but with temperatures of 30ºC for three weeks of September, sugar levels increased dramatically, an all time record harvest was produced. 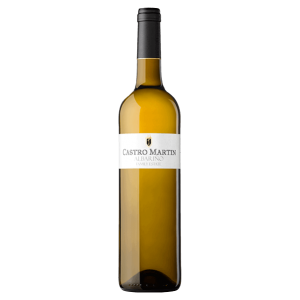 The resulting wine is very ripe, fruity and full-bodied, in some ways a-typical Albariño, but a very consumer friendly style nonetheless. After an extremely hot August yet another bumper harvest was produced. Not quite as rich as 2001, but with a more pronounced fruit and not quite as “angular” as the 2002. Lower acidity than 2002 and consequently probably a better-balanced vintage. Slightly less than the record year of 2001, but still a very respectable volume. Not a hot summer, but with sufficient sunshine to yield healthy fruit and good sugar levels. Typified by a bright acidity and clean, herbaceous, green apple fruit. Every wine makers dream: the biggest harvest for 15 years of high quality, healthy fruit. Sugar levels were high, but so, unfortunately were grape prices. However, after some erratic vintages, Bodegas were just happy to see their tanks full. A difficult vintage with reduced yields owing to rain during the flowering period. With some incidence of mildew, this was certainly the year of the wine maker – ours managed to produce a good wine! A “vintage” vintage for the Bodega. After the disastrously small 1998 harvest we were blessed with a large harvest of very good quality – so good in fact that our Albariño won many prizes, including Galicia’s Acio de Ouro. As the figures indicate a very, very small crop. After three successive vintages of good quantity, the weakened vines were hit by a late spring frost, burning the young shoots on the plant. Many vines did not have the strength to bud again, hence the feeble crop. Conversely, as is often the case, a small crop, but of high quality. Despite problems during the summer (some grapes were lost to mildew) the vintage was saved by excellent weather in late August, early September. 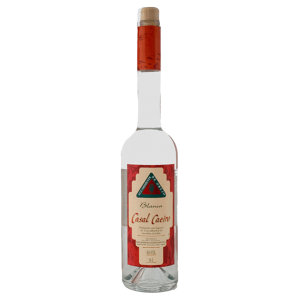 A high degree of sugar and low natural acidity, in the end, produced quality wine. A “waiting” vintage, when patience paid off. A slow and late maturation meant that picking did not commence until almost October. The resulting wine was good, if not a little high in acidity. A very good harvest, typified by an early start to picking (Sept 5th). Excellent quality grapes produced a wine of exceptional balance and finesse. Although the kilos picked has increased steadily over recent years, much of this is simply due to the unerring growth of the denomination as a whole. The average yields usually vary between 5,500 and 6.000 kg per hectare. D: Deficient R: Regular B: Good MB: Very good E: Excellent. In an area such as Galicia, where we not only have a wide geographical divide between north and south, but also have numerous different microclimates, we do not endorse this system, but prefer to send detailed vintage reports to our customers.